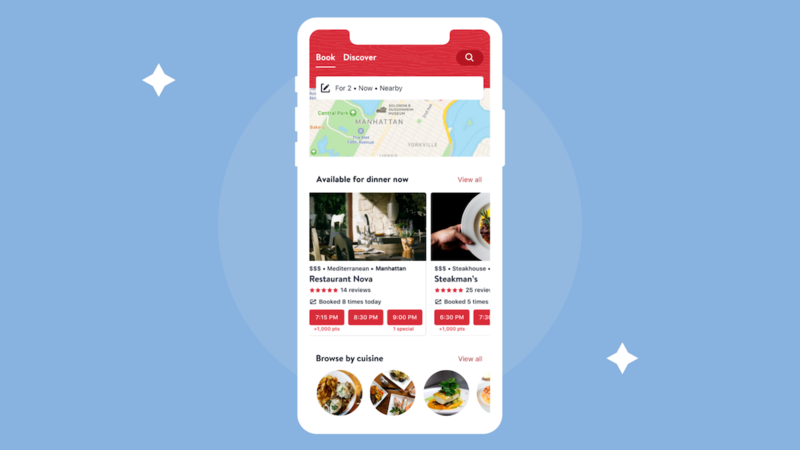 We’re excited to announce the launch of the redesigned OpenTable app making it even easier for you to book and discover restaurants using the app. The dynamic new home screen features two tabs, Book and Discover. The Book tab showcases restaurant options based on the diner’s location, time of day and the restaurant’s availability with a new ‘now and nearby’ map layout — ideal for the on-the-go or traveling diner looking for the perfect restaurant right now. The Discover tab offers diners personalized restaurant recommendations based on their unique dining history and preferences. Join our 8th Appiversary celebration! To celebrate the launch of the OpenTable app in 2008, we’ll be giving away gifts to eight winners over eight days, plus sharing food fortunes, starting on November 15. Here’s how to get enter for a chance to win. Launch the OpenTable app anytime between November 15-22, and either book a reservation for any future meal OR, give our in-app Table of Fate feature a spin and share your food fortune on Twitter using the hashtag #Appiversary8Contest with @OpenTable mentioned. One entry per social network per person each day allowed. Be sure to follow us on Twitter so we can contact you via direct message if you’ve won a prize.One U.S.-based winner will be selected at random each day. In total, eight lucky winners will each receive a $100 OpenTable Gift. In eight years, OpenTable’s apps have come a long way, with apps available across the Apple App Store, Google Play Store, and Amazon Appstore in multiple countries. App users get last-minute access to great restaurants and the freedom to make and manage reservations anytime, anywhere. Discovering and booking at more restaurants around the world has never been easier. You’re invited to get the free OpenTable app and join the celebration today! Enter for a chance to win. Full terms and conditions after the jump. Join our lucky 7th Appiversary celebration! To celebrate the launch of the OpenTable app in 2008, we’ll be giving away gifts to seven winners in seven hours on November 17, 2015. Here’s how to get enter for a chance to win. Launch the OpenTable app today between 9AM-4PM PT, and either book a reservation for any future meal OR, using the hashtag #Appiversary7, share a restaurant from the OpenTable app(learn how) on Twitter with @OpenTable. One U.S.-based winner will be selected at random every hour starting at 10AM PT. Winners will be announced on Twitter and other OpenTable social channels. In total, seven lucky winners will each receive a $100 OpenTable Gift. Since their inception, OpenTable’s mobile platforms have seated more than 245 million people worldwide. In seven years, we’ve come a long way, with apps now available on the Apple App Store, Google Play Store, and Amazon Appstore in multiple countries. And, exciting benefits are being added to our apps faster than ever before. 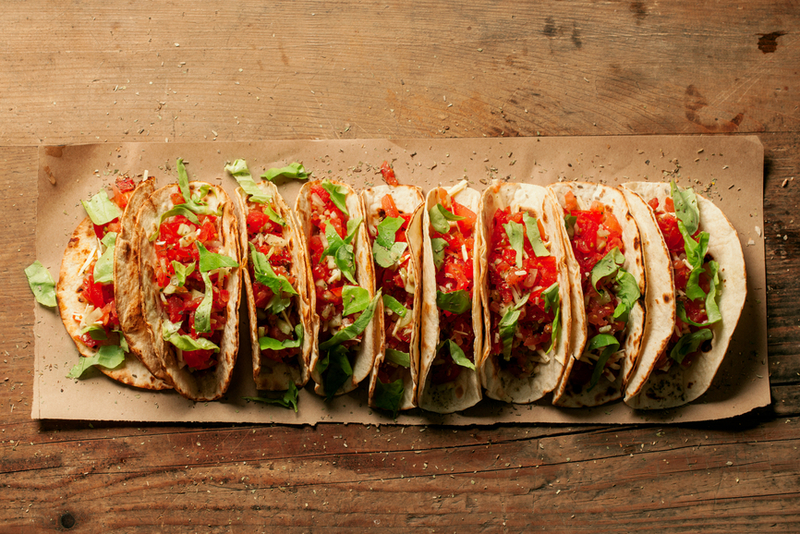 We’re always cooking up lots of delicious app improvements, so we can delight diners even more. You’re invited to get the free OpenTable app and join the celebration today! Like the rest of the iOS-using world, we’re bursting with excitement over the release of the new food (and more!) emojis. Finally, we can tell our friends in icons (as well as actual pictures) about all the delicious things we have — or want — to eat and drink. As we’re celebrating the new food emojis, we thought it would be fun to highlight reviews of the IRL versions. 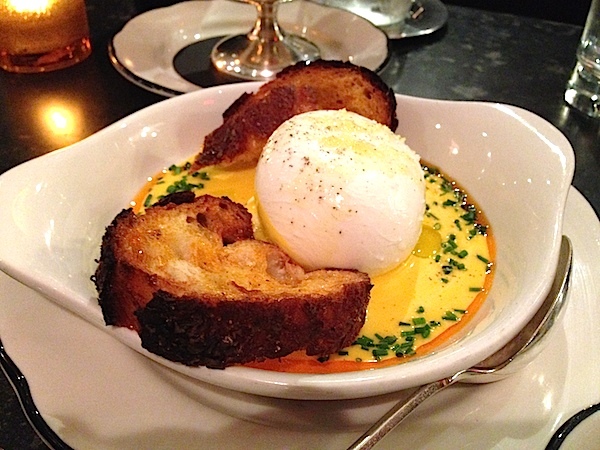 If any diner needs a cheese emoji, it’s this one, who recently feasted on this perfect plate at Rotisserie Georgette in New York City.”The service was wonderful, the food original, especially the sugar snap peas and the first course, called a burrata, I believe.” Yes, it’s burrata — and yes, it’s fabulous! 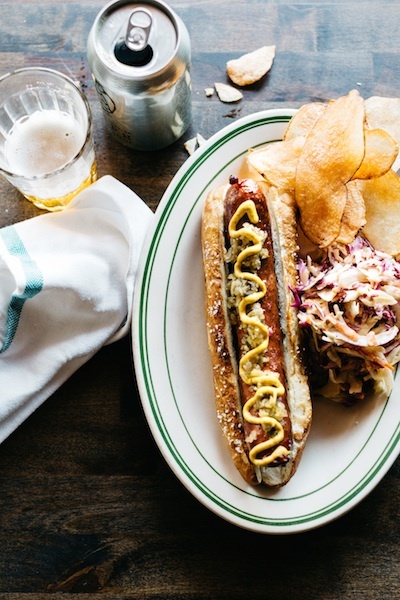 The humble American favorite was dubbed an “uber hot dog” by a recent guest at The Kirkland Tap & Trotter in Somerville, Massachusetts. “We came for the hot dogs and beer and were not disappointed. Pickled mustard seeds were a revelation.” Something tells us that Tony Maws and his crew are going to be seeing an awful lot of tweets with hot dog emojis very soon if this pup remains on the menu.